Most people know the story of Jesus feeding 5,000 people with just a couple of fish and a loaf or two of bread. If you take the story literally, it’s about the “Son of God” performing a fairly routine feat of magic. If – on the other hand – you go beyond the fundamentals – beyond the traditional view – you might end up with a story that’s even more of a miracle. There was also the fact that Jesus and His disciples had just heard that King Herod had beheaded their friend, John the Baptist. (As shown at left.) However, when Jesus and the disciples tried to get away, a bunch more other people found out about it, and started following them. So Jesus took pity on this new bunch of needy people. He proceeded to heal their physical problems, until it got to be evening. Then the disciples asked Jesus to send the crowd away. The place was either deserted and/or “a desert,” and there were no restaurants or convenience stores around. Aside from all that, there was enough to make 12 lunch-boxes of food for a next-day meal. But there is a non-traditional view. According to this non-traditional theory, the people of that day and age never went far from home without taking a spare loaf of bread – or some other non-perishable food – stashed somewhere in the folds of their robes. But that non-traditional view seems to threaten the faith of some Bible-readers, and it’s not clear why. Maybe it’s because to many today, the Bible is the story of a long-ago people, and we aren’t remotely like those people. They were heroes – like those shown at right – and we are not. But that seems just another way of saying the Bible isn’t relevant today. Maybe the Bible would be far more relevant today if it was about people just like us. So suppose the Bible was about – and was written by – people just like us today? What if those Bible-writers had all the faults and failings that we have, yet they somehow managed to personally experience the presence of God, the Force that Created the Universe. Getting back to the loaves and fishes. If you view it literally, it doesn’t seem to prove a lot. So if this story is viewed too literally, it seems to prove only that Jesus could perform a miracle. It shows Jesus had the power to pull off a fairly routine feat of magic, but that’s pretty much what you would expect of the First-born Son of God. But what if God didn’t intend this to be just another feat of magic? Which would be the greater miracle? The lower image is courtesy of Feeding the multitude – Wikipedia. 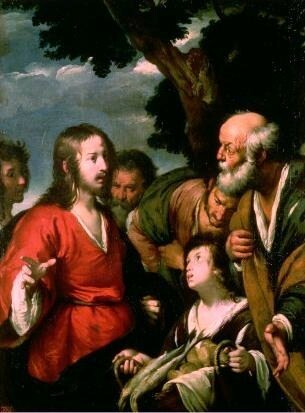 The caption: “Jesus feeding a crowd with 5 loaves of bread and two fish,” by Bernardo Strozzi, circa 1615. This entry was posted in Not your daddy's Bible on April 30, 2014 by dorscribe@aol.com. The Gospel reading for Sunday, May 4 – Luke 24:13-35 – tells the story of Jesus appearing to two of His disciples on the road to Emmaus, “on the evening of His resurrection.” One of the disciples was named Cleopas; the other remained unnamed. 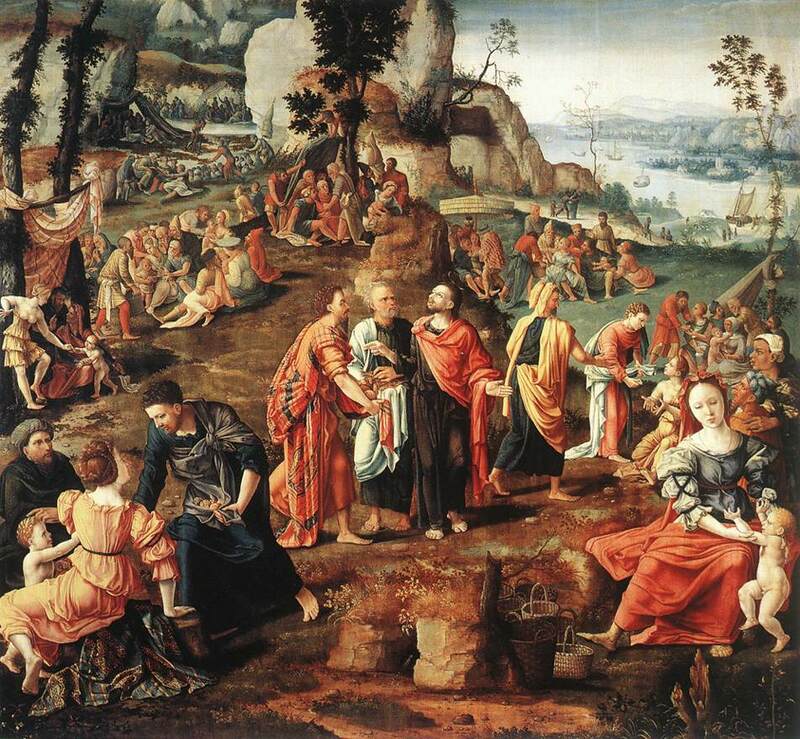 Emmaus – from the Hebrew for “warm spring” – is seven miles northwest of present-day Jerusalem. Just as an aside, there’s also an “Emmaus” in Pennsylvania, named for the biblical village in this Sunday’s Gospel. It’s in Lehigh County, about five miles southwest of Allentown. From its founding in 1759 until 1830, the settlement’s name was spelled Emmaus. From 1830 until 1938, however, the community used the Pennsylvania Dutch spelling of the name, Emaus, to reflect local language and the significant presence of Pennsylvania Dutch. In 1938, after petitions circulated by the local Rotary Club, the borough formally changed the name’s spelling back to Emmaus, reflecting the spelling in the Gospel of Luke in the English New Testament. There’s probably a lesson in there somewhere. . .
That’s John 20:30-31, sometimes summarized as the Statement of the Gospel’s Purpose, the Gospel of John that is. So, from John 20:30-31 it might be gleaned either that there are a lot of important things about Jesus that aren’t in the Bible, or that the Bible story continues “even to this day,” in our own lives. Put another way, you might say that the Bible story is incomplete until we put it to use in our lives, today and into the future. . . There are a couple of possible lessons here. One could be that we fail to recognize when Jesus is “walking with us,” metaphorically or otherwise, in our daily lives. Another could be that when we celebrate the Communion on Sundays we come that much closer to “having our eyes opened.” (Maybe that’s why we do it.) And third, it seems that every “mountaintop experience” like this one is always followed by our having to go back to the drudgery of our daily lives. Hearing now and again the mysterious piping of the Shepherd, you realize your own perpetual forward movement . . . and so are able to handle life with a surer hand. Do not suppose from this that your new career is to be perpetually supported by agreeable spiritual contacts, or occupy itself in the mild contemplation of the great world through which you move. True, it is said of the Shepherd that he carries the lambs in his bosom; but the sheep are expected to walk, and to put up with the bunts and blunders of the flock. It is to vigour rather than comfort that you are called. The Rembrandt image and some of the text were gleaned from Wikipedia. The “mystic” quote was from Evelyn Underhill’s book Practical Mysticism (Ariel Press, 1914), at page 177. (For more information see en.wikipedia.org/wiki/Evelyn_Underhill). 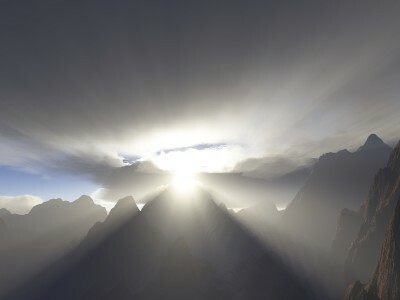 The “mountaintop” image is courtesy of http://www.johnstonsarchive.net/spaceart/terragen/tg234.jpg. This entry was posted in Sunday Bible readings on April 30, 2014 by dorscribe@aol.com. Pliny the Elder credits Quintus Valerius Soranus [ – who died in 82 B.C. and who is shown at lower left – ] as the first author to provide a table of contents to help readers navigate a lengthy work. Pliny’s own table of contents for his encyclopedic Historia naturalis (“Natural History”) may be viewed online in Latin and in English (following dedication). On the other hand, such a list of contents could be seen as a kind of “peep show,” as illustrated in the top image. (That is, it offers you a glimpse of “what’s inside…”) In other words, such a table -applied to this blog – can let you know what to expect to see. In another sense this page – and the blog itself – is all about color commentary. That is, one object of this blog is to provide color commentary on the Bible. (With an eye to going “beyond the fundamentals…”) And generally that means commentary on the readings for the upcoming Sunday. It also spends time on the psalms. (Which are almost as key to spiritual growth as the Gospels. For more on that see On the Psalms.) Another aside: If you’d like a book collection of these blog-posts – in either an e-book or old-fashioned paperback – check out the post, For a book. For starters, you can get a a flavor of the blog by checking the category Not your daddy’s Bible. I commented: “If your religion makes you ‘certain, ’you’re missing the point!” See also On “holier than thou” and On three suitors (a parable). (The latter cited a lady Muslim mystic, Rabia Basri). The only way that democracy can be made bearable is by developing and cherishing a class of men sufficiently honest and disinterested to challenge the prevailing quacks. Or see On “expressio unius,” which said those fundamental readers who focus exclusively on the “letter of the law” pretty much rob the Bible of its intended effect. For a more traditional table of contents, consider the one at left. (Christmas Carols, New and Old, published in 1867, and courtesy of hymnsandcarolsofchristmas.com.) The book was published by the Reverend Henry Ramsden Bramley (1833-1917) and Sir John Stainer (1840-1901). For more on the pair see Henry Ramsden Bramley – Wikipedia, and John Stainer – Wikipedia. The updated version of the first eight hymns/carols are included below (after the rest of the notes). Re: The RCL. “A lectionary is a collection of readings or selections from the Scriptures, arranged and intended for proclamation during the worship of the people of God…” For more see About the Revised Common Lectionary (RCL) – Consultation on Common Texts, and Revised Common Lectionary – Wikipedia. Re: “muling it over.” The actual expression would be “mulling it over,” meaning tothinkabout, ponder or worry about something. (In the alternative, to “think about (a fact, proposal, orrequest) deeply and at length: [as in:] “she began to mull over the various possibilities.” The variation-on-a-theme came from John Steinbeck’s Travels with Charley. An additional FYI: “TWC” was based on Travels with a Donkey in the Cévennes (1879), by Robert Louis Stevenson (Wikipedia), of which more in posts including Donkey travel – and sluts. Re: quote from Sting. 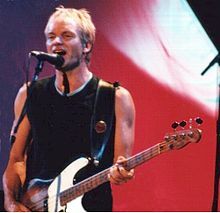 See 10 Questions for Sting – TIME. The “quacks” quote is from Mencken’s 1956 book Minority Report. See also Minority Report Quotes by H.L. 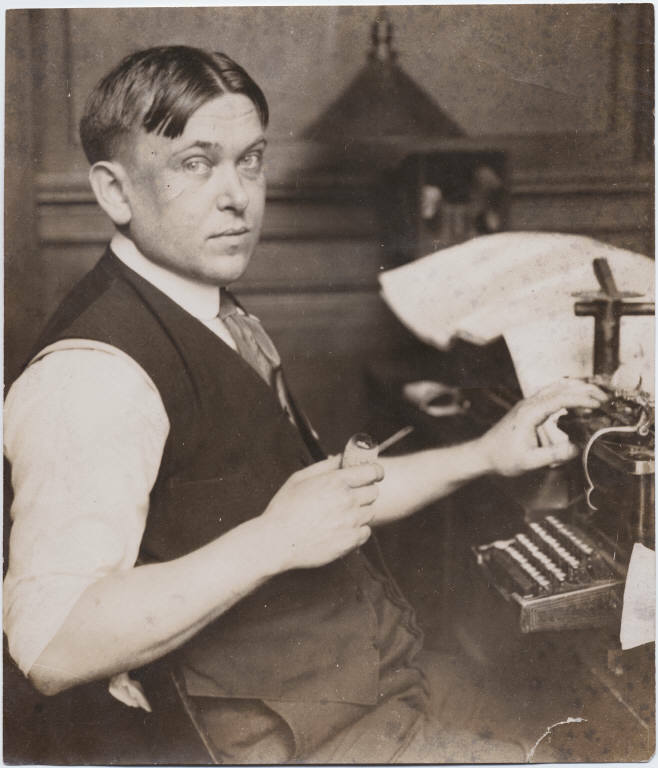 Mencken – Goodreads. The first reading, Acts 2:14a, 36-41, has been identified as the Apostle Peter’s Pentecostal Sermon. But we’re getting ahead of ourselves. . . The readings in the Easter Season – the season from Easter Day to Pentecost Sunday – are all from after the Day of Pentecost itself. 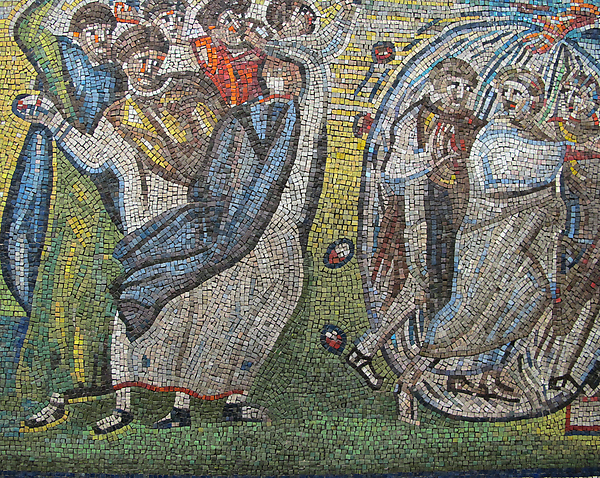 On June 8, 2014 (Pentecost Sunday), one of the non-Gospel readings will be from the beginning of Acts, Chapter 2 (which we may call editorial license). Which brings up the distinction between trying to prove the “truth” of the Bible by proving the actual physical existence of Noah’s Ark – for example – as opposed to proving its truth by showing what the Bible experience has done for you personally. Note also page 339 of the Book of Common Prayer: “we are very members incorporate in the mystical body of thy Son. . .” That indicates the two sides of any Christian church: the corporate, business, “bean-counting” side, as opposed to the side encompassing the Church’s true mission: fostering the mystical, personal experience in each and every church-goer, no matter how long that may take, but we digress. . .
Getting back to the readings, 1 Peter 1:17-23 begins like this: “If you invoke as Father the one who judges all people impartially according to their deeds, live in reverent fear during the time of your exile.” The point being that a true Christian believes this life on earth is just a starting point, a jumping-off point for a better life ahead. Sometimes – like New Jersey – Earth is a good place to be from. The Gospel-reading will be discussed in the following post. This entry was posted in Daily Office readings on April 28, 2014 by dorscribe@aol.com. In 1974, Lawrence LeShan – seen at left – wrote How to Meditate, “one of the first practical guides to meditation.” My first copy cost under $2.00. LeShan said the essence of meditation is trying something you know you can’t do. You try to do the impossible, yet you try anyway. Whether you try a mantra meditation, or to experience a rose for 20 minutes, non-verbally, you know ahead of time you can never get it exactly right. It’s impossible; as impossible – say – as trying to love the Lord your God with all your heart, with all your strength, and with all your mind, or trying to love your neighbor as yourself. He said it’s characteristic of the practiced meditator to live with joy and love; “The best of mysticism* also provides a zest, a fervor and gusto in life plus a much higher ability to function in the affairs of everyday life.” But aren’t those the same things that Christians should be looking for? They use different words of course, but the idea seems to be the same. Put another way, Wouldn’t it be great if Bible-reading led to the same results? Unfortunately, in your personal pilgrimage, sooner or later you’ll run up against all those so-called Christians who love to focus on sin – usually somebody else’s – rather than all the positive aspects that the discipline of regular Bible-reading can provide. LeShan had something to say about that as well. Or maybe you could say “falling short” is part of the process. But could that idea apply to each and every Pilgrim on his or her quest to reach God, or struggling with the idea of God? So maybe the “good Christian” should also begin by knowing he’s trying to do something he knows is impossible, physically, emotionally or spiritually. No matter how hard we try, we can never, for more than “one brief shining moment,” love God with all our heart, mind and soul. Nor can we, for more than a moment, fulfill the Second Great Commandment, to love even our most obnoxious neighbors as ourselves. But we try anyway, and maybe in the process we become more adept at living life in all its abundance, just like Jesus promised in John 10:10. You might even say it’s a bit like spiritual boot camp (but with “humor and compassion”). . .
My first copy of How to Meditate (LeShan) was published by Bantam Books in 1975. The boot-camp image is courtesy of: http://cmsimg.marinecorpstimes.com/apps/pbcsi.dll/bilde?Site=M6&Date=20120913&Category=NEWS&ArtNo=209130325&Ref=AR&MaxW=640&Border=0&Boot-camp-curriculum-up-review. * The words “mystic” or “mysticism” seem to give some Christians apoplexy. Try it on a Southern Baptist some time! But seriously, one online dictionary defines a mystic as “a person who seeks by contemplation and self-surrender to obtain unity with or absorption into the Deity or the absolute.” Again, arguably different words but the same idea. . . This entry was posted in Not your daddy's Bible on April 27, 2014 by dorscribe@aol.com. Vince Lombardi (seen above) was a fanatic about teaching and relying on the basics of football. So, here are some similar basics – for understanding the Bible. And how reading it can help you become “all that you can be,” like the old Army commercial said. For starters there’s John 6:37, where Jesus made a promise to each of us, for all time: “anyone who comes to me, I will never turn away.” That’s a promise we can take to the bank, metaphorically speaking. We are “saved,” not by being followers of a particular denomination. (No matter how much some people may say to the contrary.) Instead we are “saved” by starting that “walk toward Jesus,” by starting down that road to knowing Him better. And one way to start that walk is by reading the Bible on a regular basis. Unfortunately, too many people try to read the Bible like a novel, starting at the very beginning and moving on to the end. But then they tend to bog down in Leviticus, if they get that far. In plain words, your mission – “should you choose to accept it” – is to become one with the “unified whole” that is our world today. On the other hand, you could approach the Bible as presenting a plain, common-sense view of some people in the past who have achieved that “union with a Higher Power,” that is the goal of most religions and/or other spiritual or ethical disciplines. The upper image is courtesy of Vince Lombardi – Image Results. The Lombardi “story” was gleaned from: Insight.org … articles/church/back-to-the-basics. See also Vince Lombardi – Wikipedia. The image to the left of the paragraph – beginning “In plain words, your mission” is courtesy of Mission: Impossible – Wikipedia. 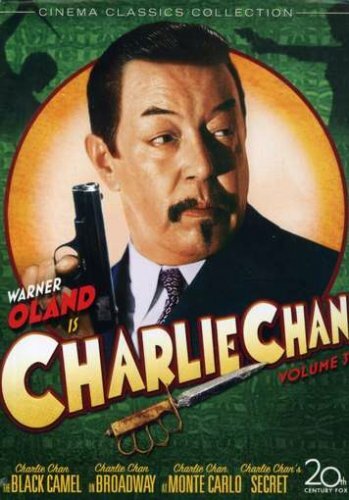 The Charlie Chan image is courtesy of amazon.com/Charlie-Collection-Honolulu-Treasure. The “pay-off” references were gleaned from How to Meditate, by Lawrence LeShan, Bantam, 1975. This entry was posted in Not your daddy's Bible on April 25, 2014 by dorscribe@aol.com. The Incredulity of St Thomas, or The Rockox Triptych, after the name of the donors, by Peter Paul Rubens (circa 1614), as it relates to the Gospel reading for 4/27/14, below. Wikipedia went on to define “Thomas the Apostle, sometimes informally called Doubting Thomas or Didymus which means “The Twin” … one of the Twelve Apostles of Jesus Christ, according to the New Testament. He is best known from the account in the Gospel of Saint John, where he questioned Jesus’ resurrection when first told of it, followed by his confession of faith as both ‘My Lord and my God’ on seeing and touching Jesus’ wounded body. That seems to be the Bible-take of some Christians, but others – including those more prone to follow the Via Media – think a bit of skepticism can be healthy. Remember Thomas, the disciple, who wouldn’t believe in Christ’s resurrection until he put his hand into Jesus’s wounds. He went on to die spreading the gospel in Persia and India. God gave us free choice, He doesn’t want us to be robots, He could have made us like that, but wanted us to choose for ourselves. You learn and grow by questioning. So, there seem to be Christians who see The Faith as a spiritual strait-jacket, a pre-made form into which “we” should shape ourselves. This type of Christian also seems to believe that there will be a checklist at the Pearly Gates, and that if you don’t answer every question exactly right you won’t get in. Other Christians try to see The Faith as a set of Spiritual Wings . . . but more about that in later posts. Again, that is – or should be – what the church-going experience is all about. Unfortunately, time is running out for the DOR Scribe, so it’s time to end this post. But “be on the lookout” (BOLO) for future posts. This entry was posted in Sunday Bible readings on April 24, 2014 by dorscribe@aol.com. As soon as I can figure out all the bells and whistles – the confusing conglomeration of signs, symbols and icons on the webhostinghub.com dashboard – I’ll be commenting on a weekly basis on the upcoming Sunday Bible readings, as set out in the Revised Common Lectionary, the three-year cycle of Bible readings established by the Episcopal Church. For example, the upcoming Sunday – the Sunday After Easter – is also known as “Quasimodo Sunday.” That’s aside from being known as Low Sunday and/or St. Thomas Sunday, or in some cases “Doubting Thomas” Sunday. I look forward to it. 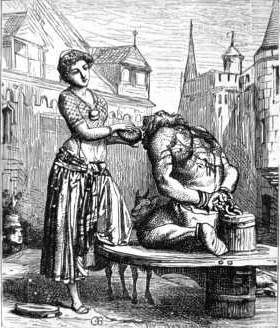 So there you have it, the story behind Quasimodo Sunday. * “DOR” stands for the Daily Office, a set of assigned Bible readings beginning on page 933 of the Episcopal Book of Common Prayer. (Thus “Daily Office Readings.”) By doing the readings on a daily basis, you can get through virtually the entire Bible in two years, and the psalms and Gospels three to four times. That’s as compared with the Revised Common Lectionary (RCL), which sets out a three-year cycle of Bible readings. (“We” are currently in Year C.) Thus a devout 69-year-old Episcopalian, who has attended church faithfully since he was 21, will have heard the entire Bible read to him some 16 times, and the psalms and Gospels some 48 to 64 times. Those assigned Bible readings will be the basis for the color commentary to follow in the upcoming posts. This entry was posted in Uncategorized on April 24, 2014 by dorscribe@aol.com.